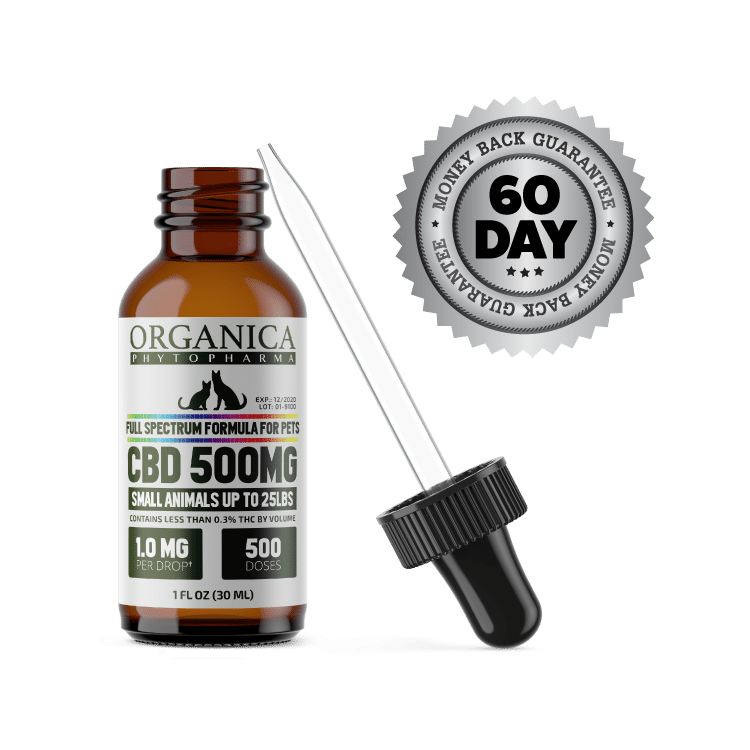 Support your pet’s overall health and well being with this full spectrum Pet CBD oil created specifically for small cats and dogs under 25 lbs. 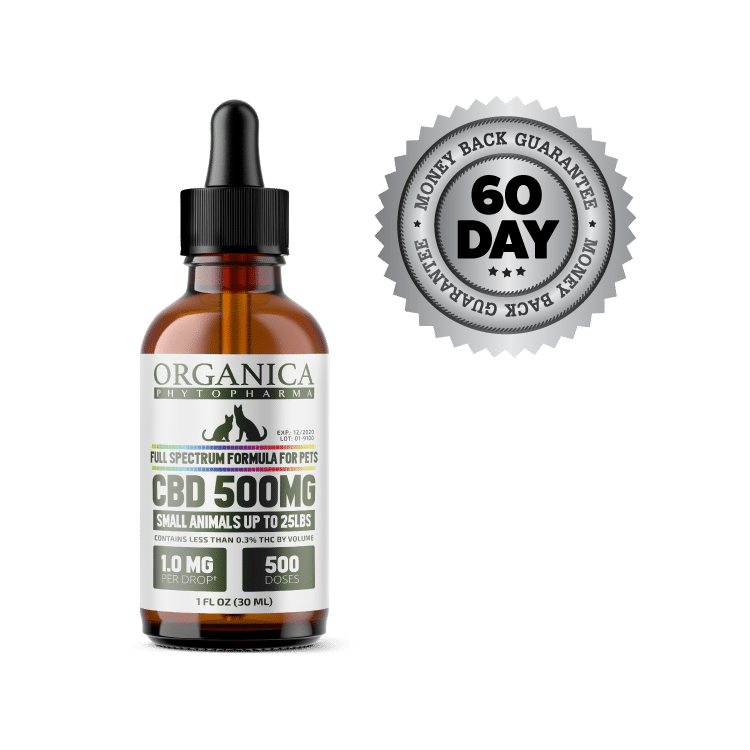 Containing over 500 doses at approximately 1.0 milligrams per drop, this 500mg formula provides a therapeutic dose of CBD and lasts about one (1) month when taking one dropper (1 milliliter / 17 drops) daily. 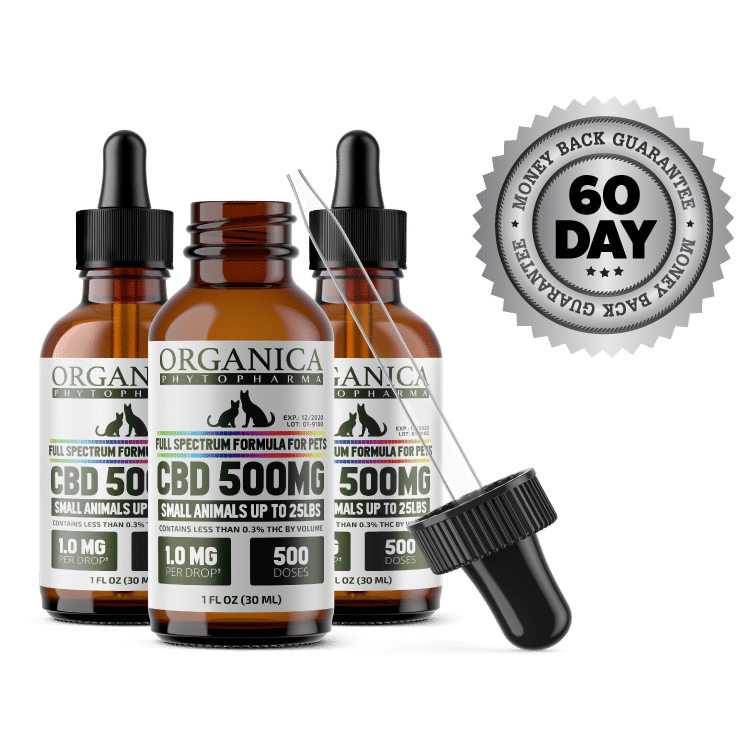 ¹ Lasts up to 30 days, based on average CBD usage statistics of 1mL taken daily. ² Contains an insignificant amount of THC (<0.3% THC by volume). Save 15% when you choose our Wellness Plan and receive monthly shipments of CBD! Buy three and save $15 (for a limited time only).